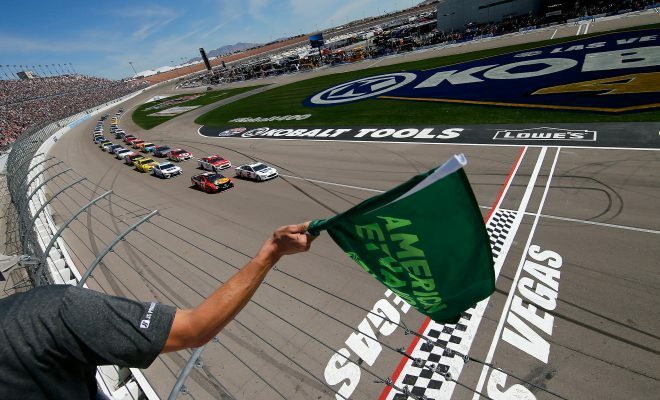 The Monster Energy NASCAR Cup Series is headed to Las Vegas Motor Speedway this weekend for the Pennzoil 400 presented by Jiffy Lube and our Sarah Handy breaks down her picks and who you may want to pay attention too this weekend. Martin Truex Jr: The driver of the No. 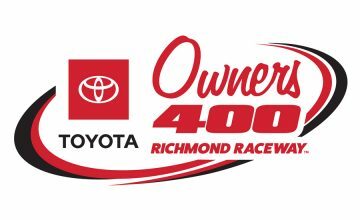 78 Furniture Row Toyota started his dominance on 1.5-mile tracks in this very same race last year. In 2017, Truex won the race after starting in the second position. Than he went on to win stages 1 and 2 and in the final stage passed Brad Keselowski late for the win. Six times the guy who won at Las Vegas went on to win the championship. Brad Keselowski: The driver of the No. 2 Ford for Penske Racing has a great track record at the 1.5-mile oval. When Roger Penske switched his team to Fords in 2013, Keselowski has hasn’t finished worse than seventh at the track. Last season, Keselowski started from the pole, led four times for 89 laps and seemed to be headed to victory lane. Than the mechanical issues happened with two laps to go, leaving the 2012 Cup Series Champion with a fifth-place finish. Keselowski will look to carry momentum into Sundays race after finishing second in last weeks race at Atlanta and I truly believe momentum will be on his side. Look for Keselowski to be a serious contender all day with Truex Jr., we could have a repeat of last years race if both their statistics at the track have anything to do with it. Kyle Busch: The Las Vegas native has his hometown support of family, friends and fans alike behind him heading into this weekend, but he hasn’t won at his home track since his lone victory back on March 9, 2009. That one lone victory is why I have him on my dark horse list along with the statistics I’ll mention next. 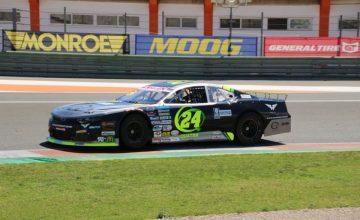 With an average finish of 14.15 and having led no laps in this race since he led 38 laps back in 2016, he will have to improve greatly after a 22nd place showing in 2017. Busch is doing triple-duty this weekend as he will compete in the NASCAR Camping World Truck Series race on Friday evening, the NASCAR Xfinity Series race on Saturday and the Monster Energy NASCAR Cup Series race on Sunday. The 32-year old may have the upper hand in the NCWTS and NXS with an easy win in sight but he will surely have very competitive competition when Sunday arrives. Jimmie Johnson: I debated whether to put the driver of the No. 48 Chevrolet for Hendrick Motorsports in my picks at all. Than I remember, he’s seven-time and this two-race slump to start the 2018 season isn’t going to last forever. When I mentioned him in my top picks last week I honestly thought he would have a better race with his track-record at Atlanta Motor Speedway. Unfortunately, I was wrong and he finished 27th after a disastrous day. Facts though: Johnson is good at Las Vegas and I believe this is the race where he will rebound to at least finish in the top-10, a win may be far fetched but as we know in racing anything can happen. In 16 previous starts at the 1.5-mile oval Johnson has an average start of 12.6 with an average finish of 10.94. He has four wins at the track, including three in a row (2005, 2006, 2007) but hasn’t won at the track since 2010. In this race last year Johnson finished 11th after starting 16th and honestly if he ends up with that kind of finish again it will probably feel like a win for Team 48. Atlanta marked the 25th race since Johnson has visited victory lane which is the longest drought of his Cup career. The Pennzoil 400 the third race in the 2018 season will take place from Las Vegas Motor Speedway on Sunday March 4 at 3:30pm EST on Fox.